Is the best thing about Christmas the food? In a word – probably yes. It sums up everything we love about the whole day, it brings the family together, it’s a treat you only have during the festive period, and it’s just darn delicious. The whole day revolves around the food doesn’t it? Whether you’re a lunch-er or a dinner-er, or your Christmas meal falls into that weird afternoon period of it being a really late lunch or really early tea, it doesn’t matter, it’s all about (over)indulging yourself with that yuletide goodness. And hark! The herald angels are singing, the three wise men are on their way, and they’ve brought us a scrumptious gift – foot-long pigs in blankets! Just what baby Jesus wanted! You can keep your myrrh to yourself, thanks. Yep, after a mouth-watering announcement in September about the lauded foot-longs, we’ve had a few hard months to get through. Now however, Aldi are finally delivering the tasty treats, as their massive pigs in blankets go on sale this week. 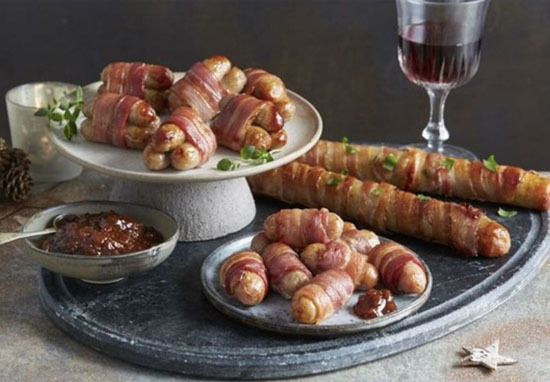 The supermarket has announced their British pork sausages wrapped in smoked, streaky bacon (anyone else drooling?) will be available in stores from Thursday, December 6. They’ll come in packs of two – that’s two feet’s worth of piggy, blankety deliciousness – priced at just £2.99. While we know the length, there’s been much speculation as to the girth of the sausage. But I guess we’ll have to wait ’til Thursday, when Aldi reveal their meat, to solve that mystery. According to Aldi, one pack of their super-sized festive treat serves up to ten people, though I’m not sure many people will stick to that recommendation. It’s Christmas, you have to overindulge yourself, it’s the law! Naturally, people are hugely excited for these festive whoppers already, and they’re not even out yet. Foot-longs aren’t the only part of Aldi’s Christmas range though. There’s also Methuselah Prosecco (yes please), an Exquisite Chocolate Carousel (oh go on then), and Specially Selected Caviar (erm, sorry, think my monocle just fell out…). 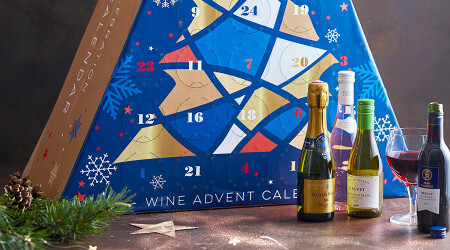 And if that’s not enough, the supermarket are also selling a Wine Advent Calendar, so you can match all these things with a recommended tipple. Or, y’know, sit in the corner with your foot-long and your wine and just have a great time by yourself. Pull up a blanket and become the very thing you’re eating, who cares.